It is almost funny that virtual assistants would be lost on which laptop to buy for their work. You would expect that remote workers know their way around the computing hardware they need to do their work successfully. This guide will give you the things that you will need to consider when buying a laptop for your virtual assistant business. Which Computing Resource Do You Need? First of all, you need to ask yourself whether you need a desktop, a laptop, or a tablet. It is entirely up to a virtual assistant to decide if they want mobility or they want to have a static workstation. Unfortunately, there is no way you’re going to run a successful virtual assistant business either on your phone or tablet exclusively. Smartphones and tablets are not good to do serious work because they are annoyingly inefficient, fiddly, and unprofessional. You definitely need a keyboard and a monitor so that you can see what you are doing. If you plan to have a stationary workstation, and you don’t work from the coffee shop or whilst traveling, then a desktop will do. However, if you are looking for virtual assistant work that is flexible and balances between work and life, you got to get something portable. As a best practice, you need a laptop because it gives you a separate monitor and keyboard to see what you are doing and it is easily portable. Which is Better? A Mac or a PC? Well, it doesn’t matter really. You will obviously need Microsoft Office for some of your work but you can still get MS Office 365 for your Mac. Macs are usually more expensive and are probably a better option if you know how to use them or will be doing a lot of design work, e.g. if your clients are photographers, online store owners or graphic or web designers. However, if you are a regular virtual assistant, and have never used a Mac computer, it is better to stick with a PC. What Do You Consider When Buying a Laptop? 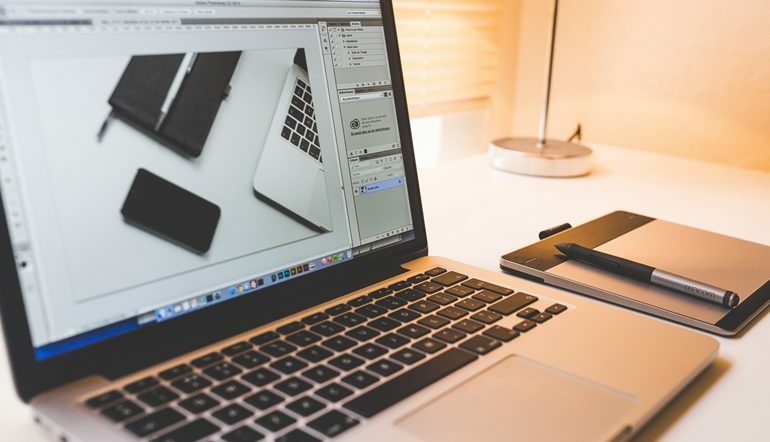 Despite what other virtual assistants will tell you about buying a laptop, you only need to consider the functionalities you need for your work to get the perfect laptop. Remember what is perfect for somebody else may not suit your purposes at all. Just like you wouldn’t buy a car because a friend thought it was good and they liked it, don’t buy a laptop because a friend thinks it’s ok. Think of what you want your laptop to do for you and only consult other people when you have already narrowed down to the laptop you are interested in. You will probably be taking your laptop out of the house and therefore you need something that is small enough to fit in a bag and is light enough to carry around. Of course, the small-sized laptops are lighter but they are not ideal for working as a VA because you need to be able to see what you’re doing without squinting. You also don’t want a laptop that will force you to lean forward to see what you are doing. For example, a laptop with a 13.3 inches screen will force you to lean forward to see the font and this might hurt your back and shoulders. The bad posture may have a long-term negative effect on your body and career. No career is worth losing your health. Ensure that you’re not putting your back and neck out of alignment by leaning forward to peer at your small screen. If you are going to work out of the house, you need to have a laptop with good battery life. Although you can take your charger with you, you will have a lot of problems finding a spot to plug in your laptop to charge it. You, therefore, need a laptop that you can use for at least 8 hours without going out of power. Obviously, the price of the laptop you want to use for your VA business should be within your budget. With a budget of just $500, you can get a laptop that will help you do your virtual assistant tasks perfectly. The random access memory (RAM) is one of the main determinants of how fast a laptop will be. It works in conjunction with a processor to increase the speed of the laptop. Once you have worked, you will need some hard disk space to store your data. Although nowadays you can back up most of your data to the cloud on Google Drive or Dropbox, it is good to have a laptop with enough hard disk space to store your data locally for when you are not on the internet. While old laptops came with hard disk drives, modern laptops come with solid-state drives (SSDs) which store information on microchips. Laptops with SSD are more expensive, thinner, boot more quickly, run faster, use less power, and are more reliable. If you have the budget for it, an SSD laptop is better. If the touchscreen feature is important for your work, make sure that you buy a laptop which has a touch screen that is similar to the one on your smartphone. If you plan to use your laptop a lot in the outdoors, it is advisable to get an anti-glare screen. This might seem like a small thing to get but if you are using your laptop outside, you will find that you can’t see the screen at all during the day. If for example, you are keen to work outdoors in the parks, ensure that your laptop has an anti-glare screen. You may be wondering why you need a backlit keyboard on your laptop. Well, if you take your work to bed, or you work a lot in the evenings, you will want to have a backlit keyboard so that you can see where the keys are when typing away. Modern laptops come with a detachable screen that can be removed or bent over so that you can use your laptop both as a tablet and a laptop. Perhaps you don’t need both of these but one or the other might come in handy when doing your work. Find out what else to take into consideration when selecting a new laptop for your VA business.